There is much to love about this game, and also much to leave the player incredibly frustrated and bored. When it sours it has a galactic scale that no other 4x game has ever come close to, and tale you weave of your fledging empire stumbling into the great unknown is unsurpassed. Other times it feels like a mess of mechanics constantly fighting against each other leaving you with nothing to do. I think it's greatest 4x since MOO2, but boy do Paradox still have an almighty amount of work still to do on it. But, you know, it's Paradox. You know they'll keep working on it. 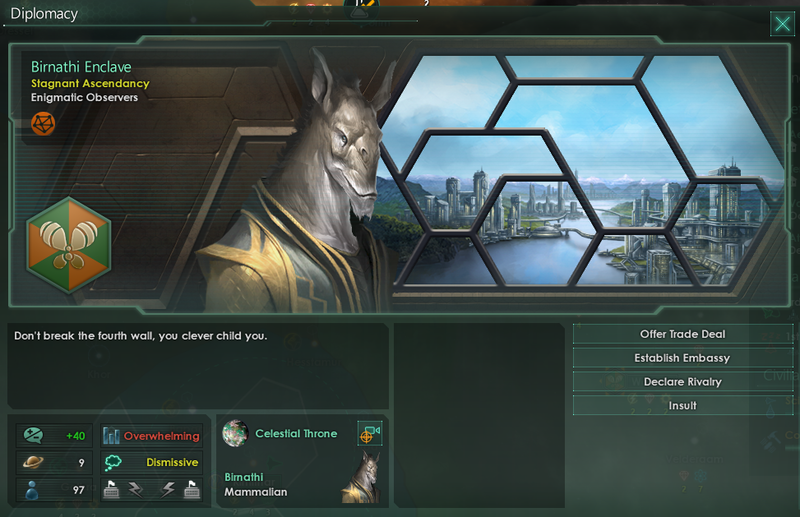 Love Stellaris. It's beautifully flawed. I think somewhere between Stellaris and Master of Orion: Conquer the Stars is exactly the 4x space game I'm looking for. I think I will have a hitman episode of the year. Since we have a decade of Community GOTYs, I thought it would be interesting to see which of those ten we believe rules 2006-2015. If you, yes you, are interested in more voting/ranking/etc, check out the Community Game of the Year - The First 10 Years thread. That was such a massive distortion, such a weird outlier in the history of gaming, that maybe that rule doesn't matter that much, anymore? I'm not aware of anything that has that kind of dominance. Perhaps "vote for what makes you happy" will end up giving roughly the right results, even if some games repeat more than they have in prior years? I don't have a strong opinion, I'm just thinking that the rule was designed around a corner case that we probably won't see again. I had no interest in Stellaris, and only passing flirtation with prior Paradox titles. It was a sale driven whim that lead to my first triple digit hour time sink since Wasteland 2. I'm cooking along with 125 hours docked, with a few extra offline. And there is no evidence that my time with the game is even approaching drawing to a close. I haven't even finished a game yet. Given the early returns on the various patches and Paradox's reputation for continued support, I can see playing Stellaris for years to come. This one is going on the all-time list for sure, and the crazy thing is it is only going to get better. It is already soaring above every other game I played this year in its current state. The PS4 version arrived, and it was everything I hoped it could be. So many friends dead at the hands of so many aliens. I love the changes and the adjustments made to the game play, and I'm thrilled they made a sequel where the canonical ending of the first game is failure. Amazing. Bloodborne ran away with my GOTY last year, so it is no surprise I enjoyed my first foray into Dark Souls. I still have strong preferences for the setting and game play in Bloodborne, but Dark Souls 3 is fun, moody, and delightfully esoteric. I was surprised how much I enjoyed this title, which I purchased as a stopgap between whatever I had just played and Dark Souls 3. A fun soundtrack, interesting leveling-up mechanics, and great delivery of tone and atmosphere made this one a real winner. It was also one of the best couch cooping experiences I've had, and there are echoes of Castlevania II in here that really worked well for me. 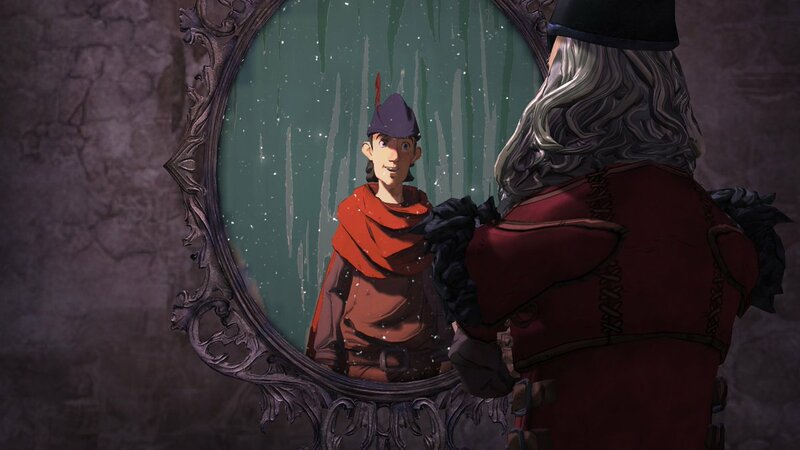 The King's Quest remake surprised me, start to finish. The Odd Gentlemen deserve all the credit in the world for navigating a project fraught with pitfalls in such a successful fashion. This game could have easily been a disaster, but instead we got a new King's Quest game that's the strongest since VI. Sharp writing, interesting puzzles, and winning performances abound. 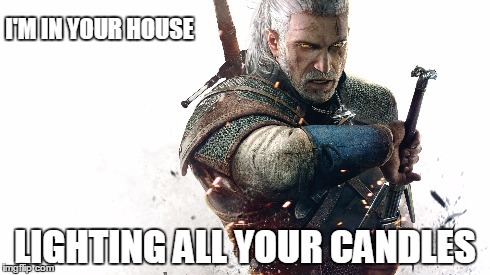 The Witcher series has always been one I've avoided. The lack of diversity and the blurring of the line between depicting a misogynistic world and actually being misogynistic has kept me at bay (see also collectible woman cards in the first game.) But I've had enough enabling from podcasts and the community to give TW3 a shot - and I'm really glad I did. Like an HBO series, it tends towards being well written and interesting, and like an HBO series it also feels just a bit too eager to live up to its "mature" billing. Despite its issues, the game feels like it borrows some of the best stuff from Skyrim, then adds characters and story. It is rich and complex, with narrative decisions that feel like they matter a lot more than they do in a lot of other RPGs. If it weren't for its continued issues with the male gaze and its occasionally clumsy handling of depicting a misogynistic world while maintaining its own integrity, it'd probably be a lot higher on my list. This dumb game. Despite its terrible fonts, forgettable plot, clumsy writing, and overly in-the-weeds mechanics; Dungeons of Chaos makes my list because the heart wants what it wants. In this case, the heart wants an iOS game that to play while commuting that is an Ultima-like that is well designed, surprisingly intuitive, and somehow is complicated enough to warrant thought and attention but easy enough to play that I can listen to a podcast at the same time. I hope I never have occasion to list a game with such a generic title again. One of my friends does the VO in this game, so perhaps I'm biased, but this was the best game yet to come out of PS+. For such a tense game it is weirdly relaxing. I've only sunk a few hours in, but I love the world and the storytelling immensely. This game has gotten a bit lost in my shuffle, but I keep coming back to it, and I suspect it'll be something I continue to sink my teeth into in 2017. Yikes is this game brutal! The tone and atmosphere are great though, and there is something undeniably fun about watching your helpless party die on the whims of the RNG god. This dumb game. Despite its terrible fonts, forgettable plot, clumsy writing, and overly in-the-weeds mechanics; Dungeons of Chaos makes my list because the heart wants what it wants. Heh. Sounds just like that time I dropped Street Cleaning Simulator into my GOTY list. Damn, I loved that dumb sim. Thanks for the lead on Chaos, btw. Looks pretty nifty. My pleasure! Even if I reach Sandsian EUIV hours of Stellaris playtime, I suspect that this game will still net the most hours played per dollar spent. Its not my preferred metric for how valuable something is, but if it matters to anyone I figured I'd put it out there. At what point does Clock retire from this bullsh*t? I'm a few posts away from it, honestly. The thought occurs that the reason ClockworkHouse originally did that rule was because she didn't want to award "Game of the Year" to the same game more than once, and she envisioned World of Warcraft topping the list forever. I took over the rankings in 2011, and that was when we first started allowing games that weren't new releases. At the time the response I got from a lot of people was that they were just going to vote for Team Fortress 2 again and again and call it good. My concern wasn't about any specific game but about the Community Game of the Year vote becoming a stagnant pool of the same people voting for the same games year after year. I wanted the eligibility for this vote to have a lot of leeway, and it does. I put the new-to-you rule in place to put some limitations on that but also to encourage people to think outside of their habits. Every year, when this thread goes up, I see a lot of people go through the same conversation on the forums and in chat: "Did I even play anything new this year? I think I just played League of Legends/World of Warcraft/Skyrim/The Witcher 3 again. Oh, but I also played this indie game, and I played this other game that caught me by surprise, and I played this multiplayer game." They move out of their perpetual occupations to talk about the surprises and discoveries that I think really drive these conversations. To be honest, in the five years I've done this, I've only ever gotten pushback about this rule from two people, one of whom really loves one game a whole lot, and one who tells me every year how disappointing and underwhelming the last year of releases was and how his real favorite game was something he already played. There doesn't seem to be a disenfranchised class of posters who feel constrained in their expression of what they enjoyed, but it's entirely possible I'm misreading the community. I love doing these threads, and I love reading what people have to say. This is one of the most enthusiastic and happy threads of the year in a hobby that usually prizes cynicism and sick burns. I also loathe doing these threads not because the tallying and calculating takes a lot of time but because I feel like I spend a lot of time as both judge and life coach adjudicating which games people are allowed to vote for and trying to encourage them to think outside their comfort games. I don't have time for, or interest in, policing these lists. I know some of you vote for the same game multiple times when a new patch or expansion comes out, and I generally don't care as long as you take a few minutes to call out what was new that you liked so much. If you voted for Elder Scrolls Online last year but think that the unpaid "One Tamriel" update changes the game enough that it's like playing something new, then by all means vote for it. Call it "Elder Scrolls Online: One Tamriel" or Elder Scrolls Online - Update 16 and take a paragraph to talk about the changes made and why they made you happy. Don't just write, "Minecraft, because I'm still playing it for another year lol". That's it. That's the bar I ask you to clear: try to push outside what's most familiar to talk about what surprised you, and if you can't do that then talk about your old flames and how they were new to you. Imagine I'm your friend at the bar who has heard every funny story you have to tell about your cat. Tell me a new story, or tell me about a new cat. Moar lists please and vote for whatever you want. I'm taking mine down to the wire because FFXV may make the top 10 despite all odds. Lunch break so time for the list. 1. Stellaris: This game reminds me of Sins of a Solar Empire sans capital ships, which is a good thing. Resource management is streamlined, especially with the updates to strategic resources. It has huge potential to be further improved over time, particularly in the UI space, diplomacy, role playing and mid-end game content. 131 hours per Steam and I can see myself spending hundreds more. 2. Pokemon Go: I am certainly not "the very best" trainer, but for the first few months of release, this game captivated me, my wife, the children and my mother-in-law. I mentioned upthread that this game spurred my wife and I to adventure on a midnight driving and pizza date with my wife, something we haven't done since forever in our marriage. At its peak, whole droves of players were wandering around public places, making friends with strangers and businesses benefitted from nearby Pokestops. It was crazy and I love how it was able to capture mainstream attention. 3. Civ VI: this iteration of Civ felt so complete out of the box/fresh Steam installation compared to earlier releases. Mind you, I never purchased the Civ V DLC so I did not experience the religion system. The base game is great, and you can see there is plenty of room for an expansion or DLC more techs, Wonders, units and improvements to diplomacy, trade and AI. This game, once polished, will be hard to beat in the modern human history 4x category. 4. XCOM2: I had initially purchased XCOM: EW and installed the Long War mod. But once this came out, the gameplay was leaps and bounds ahead of its predecessors, especially once Long War Studios produced further free content. The story is, well, save the world. But the joy is in sending out your squaddies and coming back with stories and scars. I haven't completed a playthrough yet but I can see myself coming back for more. 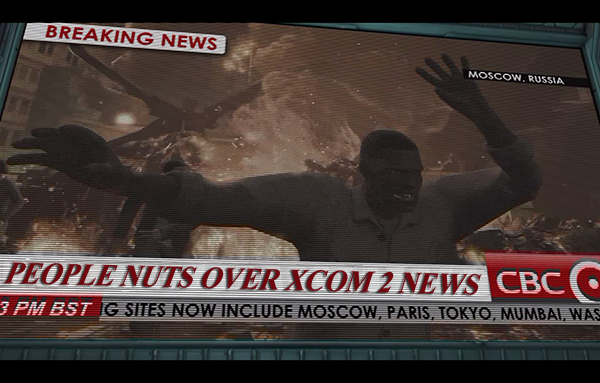 What I would like to see in the XCOM universe is more diversified tech paths, abilities/soldier classes and hopefully something partly offworld. 5. Total Warhammer: I skipped iterations in the franchise from Shogun II into this game. I haven't played since June, but if the Steam Winter sale price is right for the DLC, I may jump in again. Would love to see Creative Assembly publish a Total Warhammer 40K game. Lots of battlefield shenanigans to enjoy, and a streamlined resource management so you can send your hero into the fray more instead of spending too much time on the spreadsheet management. 6. Halycyon 6: Starbase: I swear the ranking wasn't deliberate! This was fun for a while, what with the synergistic play between ships and commanders in battle, but there was a lot of repetitive mechanics in the early-mid game which made the gameplay get stale a little quickly. 7. FFXI Online: I renewed my subscription, ostensibly so that I could play a few hours with my brother. The game is completely different to when I ceased playing it in 2010/2011. Although I only managed to play about 10 hours before real life intruded, I felt that there was a huge amount of learning which Square Enix had made since they first published FFXI, which could have made it into FFXIV Online as well; oh well, if they decide to make another Final Fantasy MMORPG then I hope the sequel will be a mix of the two games, being somewhat solo friendly but also with an emphasis on party play. 8. Shop Heroes: a lot of timers and tapping on the phone. But absurdly fun with the RPG like elements in the game and a huge amount of recipes to craft, and an auction house to play quasi stock trader. I spent a surprising number of hours playing this mobile game this year. 9. Dominations: from the makers of Clash of Clans, I played this one with my son. We had a great time tapping our mobile devices while the frenzy lasted. Longevity is a serious barrier to mobile games, as it is very easy to burn out on the mechanics due to lack of depth (they all have an energy/pay to win model and upgrading for bigger numbers in a spreadsheet taking exponentially longer). But I am optimistic that mobile games will continue to improve over time. 10. SWTOR (freemium version): dual wielding lightsabers, healing bot companions, and quick travel options. This game was pretty fun and would have been more enjoyable had I more free time to lose myself in the systems. The main quest lines were pretty fun, but too many instances levelling up I encountered "travel to area X, kill Y" type of experience/loot systems. Someone needs to think of new ways to keep us logging in to participate in quest lines and active events etc or else the MMORPG model will further decline. I think we should all show our appreciation for Clock's hard work by reposting our favorite list multiple times, with slightly different order for each posting. She'll LOVE it. 1. The Witness (PS4) - The Witness is on a short list of games I would consider my favorite game of all time. In many ways it feels like the game was exactly made for me. 2. Ratchet and Clank (PS4) - I'm a sucker for this series and this remake feels like they took every mechanic I've liked from the previous games and perfectly refined them. 3. The Talos Principle (PS4) - Stupid story, wonderful puzzles. I played this right before The Witness in January and I think the combination of the two set me up to have a very puzzle heavy 2017. 4. Firewatch (PS4) - I honestly could've done without a lot of the mid-life crisis story. But the moment-to-moment drama of the main plot had me hooked. 5. Picross 3D Round 2 (3DS) - More Picross 3D will probably always make my top 10 list. 6. Enter The Gungeon (PS4) - Along with puzzle games I spent a lot of time playing roguelites this year. Roguelike + Twin Stick Shooter is another "made for me" type of game. If it was a little faster paced and sessions were shorter this might've been #2 on my list. 7. Dark Souls 3 (PS4) - I have nothing interesting to say here. 8. Thumper (PS4) - My favorite VR experience of the year. 9. 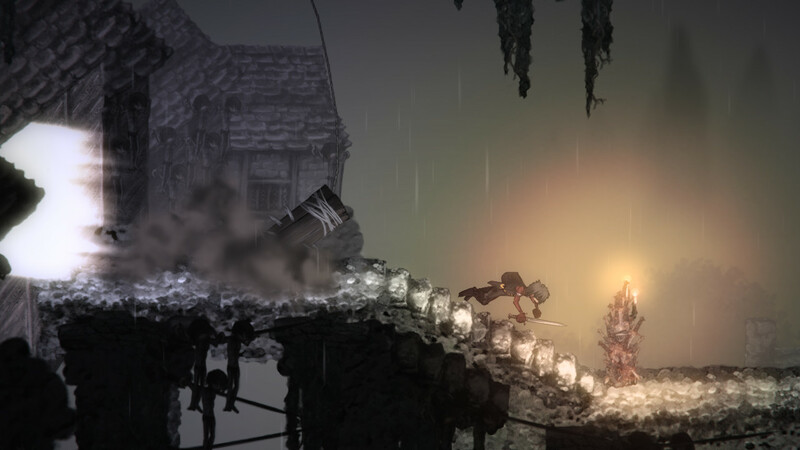 Salt and Sanctuary (PS4) - Shamelessly bites so much from Dark Souls, but it works. 10. Shenzhen IO (PC) - I already have a soft spot for Zachtronics games, and the extra polish that TIS-100 didn't have make this a much better entry in the series. Bloodborne (PS4) - Would be at least #2 on my list if I hadn't played a decent chunk of it in 2015. When I get around to The Old Hunters in 2017 it may make an appearance again. Stephen's Sausage Roll (PC) - Really impressive design that squeezes so much out of so little. Downwell (PS4/Vita) - Super fun. Didn't hold my interest as long as I expected it too, but the mix of platforming and roguelike works so well for me. Clash Royale (Mobile) - May be the winner for most time played all year, but doesn't quite make the cut in quality. Edit: Changed my list. Completely forgot about BF1 which i enjoy quite a bit. Thanks for all your work, Clock! This is one of my favorite things we do all year. Lovely in so many ways. I looked forward to this for years, following its development, and was chuffed as chips when it got exactly the recognition I'd hoped it would get. It's not perfect, but of all the games on the list it's the one I have had the most joy in sharing with people - which in my book is the final stage in truly enjoying something. An it's also peaceful, relaxing, charming, and easy-going in a year where that's hard to come by. The chunky pixel art, the relaxing chiptunes, the interlocking and well-designed routines that make up a day (and then another day, and then another) make it a reliably pleasant time. This ended up being my "baby game" that I put nearly a hundred hours into while holding & rocking our newborn in January. I loved every minute. It is, to me, the perfect game in a genre I've loved for a long time. I'd never played a Metal Gear game before this one and was able to laugh off what possibly irritated series fans - it's super weird in a very Japanese way that made me crack up all the time, but when the story went bonkers I didn't really care because A) I wasn't invested in it and B) the core mechanics are so satisfying. It would've been number one in an alternate universe where it didn't portray women so badly and make me uncomfortable playing it around my family or recommending it without a lot of qualifications (see above). It surprised me how much I loved this game. I was prepared to dislike it, given the feedback I'd heard, but going into it expecting difficulty and pretentiousness set me up to appreciate it for what it was. A brilliantly composed puzzle game with a through-line of philosophical ponderings on the creativity and curiosity of the human spirit set in a gorgeous and compact world. The way the game leads you from one idea to the next with just the right amount of nudges to feel brilliant when you solve something is unparalleled in my experience by any but a few games. I played upwards of 150 hours of the Wii's Animal Crossing: City Folk with my wife, so in some ways this installment has felt like re-treading old ground, but it's still wonderful. Being placed in the role of mayor fits the game like a glove, and the new features are all spot-on. And this time I've gotten to enjoy multiplayer with my Nephew and get into the daily rhythms more easily with in on a handheld. It's still one-of-a-kind, a highly specific crossing of genres that I wish somebody would emulate. Many of you were around for my and Zoso's quest to finish Xenoblade Chronicles last year, and saw how much fun we had trying to wrap up a game we'd been playing forever. I loved that game even as I sometimes hated it. Things haven't changed much here! As many others have said: the world is great, the combat is fun, but the story and cast are many degrees less interesting than its predecessors'. I think I enjoy the plot and cast more than the average bear, though, and the whole package feels like gaming chicken soup when I sit down with it. It has a groove to it like an MMO you've been playing forever that's just cozy. I became one of them for a time earlier this year, and loved it. Once I overcame the analysis paralysis and just picked a class and weapon I enjoyed, similar to getting into a Souls game, I had a really fun time - especially with the help and company of everyone in the MHG thread. You folks are great! I still found that I lost interest once I cleared the Village quests and was reaching the endgame content - I just don't have it in me to repeatedly fight something more than 3-4 times for slightly better armor - but up to that point I had a lot of fun going up the ladders, seeing new areas and monsters, and helping out other people. It's a friendly community. 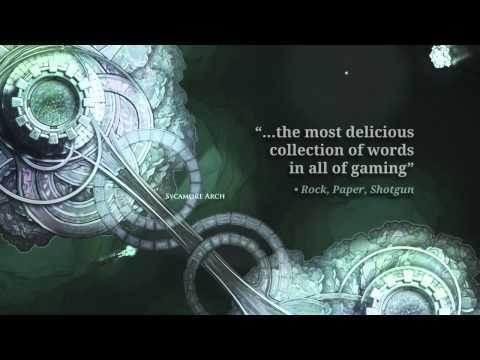 I am incredibly intimated when it comes to writing about games with incredible writing. Felt the same way with 80 Days and Sunless Sea on my previous GOTY lists. These are just excellent interactive fiction games, and I can't wait to play the third and fourth entries which I hear get increasingly better. They give a palpable sense of having a very personalized story; the art style is fitting and etherial; the feel of adventure is everywhere. I want to buy the Image & Form devs a beer for making such creative games. Dig was fantastic, and this one goes to a totally different genre but keeps the quality and thick-lined comic robot steampunk art. It made the idea of going back to a tactical turn-based game palatable after being scarred for life by XCOM (which was amazing but left me with serious anxiety problems) by adding an arcade-gameplay element of manual aiming & ricochet mayhem. And collecting hats is tops! (Not sorry.) By the end I wish it had been a bit shorter with more emphasis on replay, like Dig, because it felt long in the tooth; and the characters and dialogue felt a bit overly serious or earnest, needed a jolt of humor. But it's definitely one I'll recommend for years. My wife and I played through this together and had an excellent time. My expectations were low, given the quality of the trailer and not being sure how hard it was going to skew towards cyberpunk tropes, but it ended up having a great, engaging story and making good and imaginative use of genre staples. As an adventure game it was very good as well, on the quality level of Gemini Rue or better, and the voice acting was quite good compared to other Wadjet Eye games. If you haven't considered this one, do take a look at it and maybe give it a chance. I had to make sure one of the two I played over the past couple months made it into the top ten, to represent what will probably be a long-term appreciation for the series. This one was better than the first so it got dibs, but they're both great. I enjoy riddles, puzzles, and mind-benders but by themselves can get boring, but by putting them in the context of a detective story with artfully illustrated visuals and charming characters they become something more. I look forward to making my way through the whole series over the next year, and hopefully that anticipation will survive whatever [email protected]#$ing sliding block puzzles it throws at me. Honorary: Games my kids and I played or finished together this year. I'm still working on my list because Final Fantasy XV has gotten its hooks in me. I think it's the most joyful open world gave I've played, and this year needs a whole lot of joy. I love your lists and I love you all! I have edited my 2016 GOTY post to insert Left Behind at number six, and to include a spoiler with just the list at the top of the post. Thank you, folks, for getting back to the lists. I numbered my list back on page 1, and re-ordered. The order is gonna stay that way. I will add flavor text later. Oh man, the Pajama Sam games were great! I played them with my dad and younger siblings multiple times through. That one was probably the best. They hold up really well! And they go on sale pretty regularly on the Humble Store, you should keep an eye out. Battleborn It's a crying shame that this game got stuck taking the full brunt of Blizzards marketing war machine, because it's quite good. I like the concept of leveling up during a mission, instead of throughout the course of the game, and I like the different characters. My only complaint is that so many of the characters are locked behind achievements and level walls. Sure, you get 25 characters in the plain vanilla version, but only a few of them are initially playable at the start. I don't like having to earn the content I already paid for, which is why this one didn't make the list. Extreme Forklift 2 I love a game that's willing to be silly and fun, and Extreme Forklift 2 hits the ten ring on both counts. The only thing keeping it off the list is that it's a little too one-note. Unravel Charming, sweet and beautiful. There isn't much to dislike about this little surprise from EA, and it fails to make the list only because there were too many other great games ahead of it. Halcyon 6 What a fascinating game! I look forward to going back to it now that it's finished and seeing what it's become. American Truck Simulator This one is gorgeous, but it needs more time in the oven. Fortunately, the developers seem as committed to this one as they were with Euro Truck Simulator. I have never liked real time strategy games, but I've always wanted to. The sorts of stories that come out of them have always been a source of fascination for me, but I've never been able to capture that magic for myself. Usually it comes down to not being able to track all the units that I'm supposed to micromanage, and getting overwhelmed by the AI while I'm trying to force a rock-stupid AI to face the enemy who is shooting it. Offworld Trading Company circumvents that problem by removing units-- and combat-- from the equation entirely. Bravo! Comedy is hard to do well in an action game. The result is usually either unfunny because the jokes are repetitive, or unfun because the mechanics took a backseat to the schtick. Deadly Tower of Monsters takes what might have been a paint-by-numbers action RPG and weaves it with the humor in a way that I'd love to see happen more often. There isn't much to say here. Samarost 3 is the continuation of brilliant puzzles, beautiful art and truckloads of charm that Amanita designs has come to personify to me. If you haven't played this gem, you are missing out in some wonderful point and click action. It is a testament to the quality of this year’s releases that Samorost 3 only ranks eighth for me. I've tried to play Harvest Moon games in the past, but none of them really got their hooks into me like Stardew Valley. I like the town. I like the people. I like the variety of things you can do, from hunting slimes to brewing ales. The first multiplayer game I cared enough about to try and get good at. I never managed to get good at it, but I did have a lot of fun with the all-too-brief single player campaign. Plus, I'm a sucker for games where robots try to figure out human concepts like slang, sarcasm and loyalty. This one was on again, off again, and on again for me. I wasn't originally planning to put it on the list at all, but on reflection it does so many things right, and I realized I very much want to go back to it for more. This is my new go-to for when I want a twitch-challenge that doesn't involve getting mocked by teenagers over the internet. First-person, simple, arcade action at its best. I like everything about this game. I like that it was supposed to be a Duke Nukem game. I like that they made it work even after they lost the court battle for the license. I like the weapon variety, and I like the action. It's a shame that it came out in January and will therefore be left off of most lists, but here it is for me because Bombshell is something special. Saints alive, what a game! Mundane vehicle sim, agribusiness management, logging, shipping, animal husbandry, basketball! It's like Stardew Valley without all of that courting and friendship nonsense. 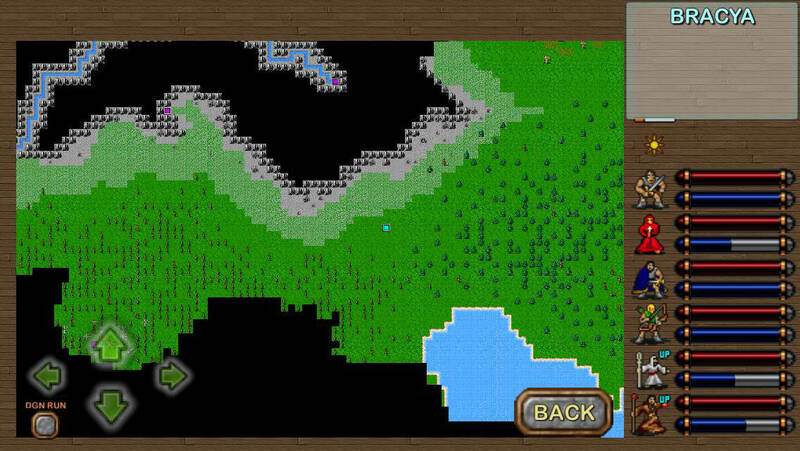 If you want to get your farm on, and get lost in a world, here is the game for you! Oh. My. I wasn't honestly expecting much from a reboot of a twenty-three year old game, but holy hell did they ever manage to blow my mind. Doom is the best first person shooter to hit the market in years. The action is tight like only seasoned veterans of the genre can make it. Everything you do in the game, from using a color-coded key to crushing an imp’s face with your bare hands is viscerally satisfying in a way that no game I've ever played has matched. It's not the best game I've ever played, but it's in the top five, and of the games I've played this year it definitely rises horn and carapace about the rest. It is a testament to the quality of this year’s releases that Samorost 3 only ranks eighth for me. Same! It slipped to 11th in my case, but everybody should play it. It's pure eye- and ear-candy and the puzzles aren't bad either. 1. Hitman ; It's a game about killing people. It's really an AI puzzle writ large. What disguise goes where, how does this level connect, how do I create the space neccesary to do what needs doing. Stealth action games have rung true with me lately and I don't think the rise in my own personal tastes is coincidental. I'm no longer the CS kid I once was, and my days of writing spy technique posts based off TF2 on Stans lounge should have been marked as a precursor to this. Stealth action when it is good rewards patience and planning followed by decisive action. I don't have the twitch skills I used to, but pulling apart a puzzle box to expose the center is still fun, especially when that center is a farmer with cabbage, rabbit and dog problem that I solve in real time with a pistol. 2. The Witness ; Its a pure puzzle game with great environmental puzzles. The philosophical stuff and "+" are let downs, but did I mention its a pure puzzle game with environmental puzzles. 3. 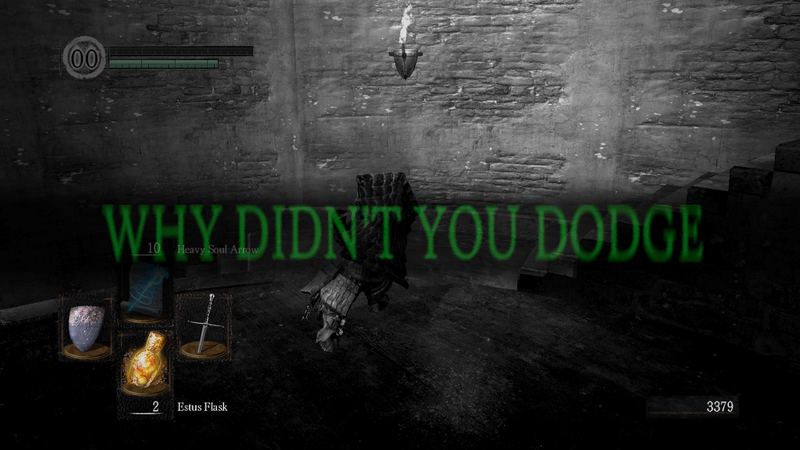 Dark Souls 3 ; Dyni, my sensei, told me once to follow my heart into a halbred in DkS1. This is the first Dark Souls I finished (twice) and the first I played at launch. 4. Offworld Trading Company ; An economic RTS built on leveraged buyouts of your opponents. Scaricity is your friend. Ruthless pivoting of your mining operation is a must to remain competitive. It's an RTS I enjoyed, and Soren and the team at Mohawk deserve many accolades for this game. Easily the most mechanically interesting strategy game I played this year. 5. SUPERHOT ; A puzzle game as abstracted FPS with psuedo 90s terminal theming. They really pinned me down here for a few hours and I hope to go back to finish more challenges. 6. Quadrilateral Cowboy ; Y'all get that I like puzzle games now? This one is in a weird 80s tech noir crime thriller featuring basic CLI puzzle solving and solid Blendo aesthetic choices including some sweaters I want. 7. Darkest Dungeon ; I really dislike this game. It's on my list because Squee9 badgered me into giving it a first and second chance. Mechanically this is a very enjoyable roguelite party based RPG dungeon diver. My phone's ringtone is still this. Party structure and strategy is rewarding, and the constant pressure of the game means that tactical triage bleeds over into the strategic layer nicely. Arguably better than MASSIVE CHALICE, a game I liked better overall due to the tactical layer and superior UI. Let's talk about the Darkest Dungeon UI. It's doodoo. Everything on the strategic layer opens up in a floating window you can't move, meaning its one menu at a time, except they stack on each other for some reason. The in dungeon game eventually becomes playing character stats, the map and your inventory, but it's difficult to look at the 2 things you want to at once. In combat is fine, but everywhere else I found myself fighting the UI until I stopped playing. 9. Stellaris ; Strategy game of 2017. Not a great launch, but Leviathans DLC has strengthened this 4x offering from grand strategy developer and publishing juggernaut Paradox entertainment. The lack of internal pressure (it's still not high enough for me) and competitve external pressure as your ramp through the mid game is dissappointing and always sours my experiences with the interesting early and early-mid game parts of this game where the writing really shines. I have high hopes for Stellaris, and seriously considered leaving it off my list, but the addition of Leviathans and some of the added diplo (needs WAY more) pushed it back into contention. 10. Firewatch ; I love Grand Teton National Park and Yellowstone National park so this was comfort food to me. Special shoutout to the excellent book titles in this walking simulator that makes you think it's going to go full videogame before wrapping up in a nicely muddled ending about real human characters. 1. Hokkaido ; Really 3 interlocking spaces (hospital, guest areas, worker areas), this map really benefited from the feedback IO received from earlier levels. It's clearly the most ambitious of the bunch, yet unfolds in similar patterns once you've really grokked it. The lack of starting items is a nice touch for those of us who developed standard kits (sniper rifle drop), and I appreciate the ability to become a drug dealer called Nails. 2. Sapienza ; The second episode of hitman ended up being my second favorite overall. Building on the simple, two security zone structure of Paris, this multi zone sprawling map has gorgeous sightlines, fun interactions with the two targets and some of the better escalation missions throughout. 3. Paris ; Its the og level and I know it well. A basement connected to the main hall, servant's stair case connecting you to the second level and quick access to level 3 with some climbing. The vampire magician costume is a fun gimmick on a map that really shows the capabilites of Hitman, from the disguise zone overlaps and security checks to the climbable surfaces and interactions with environmental hazards. 4. Bangkok ; It's kind of like Paris but with two towers that split after the first level. 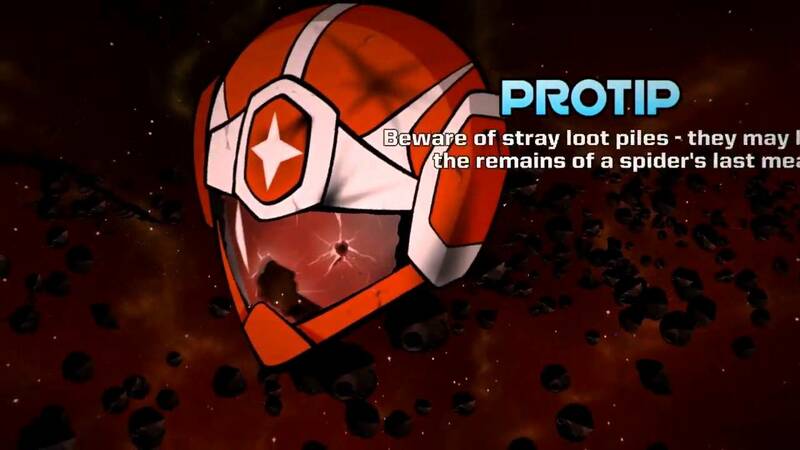 The escalation mission with the freezer is why this level is number 4, it's a very fun space creating exercise. 5. Marrakesh ; Tons of people, a locked down embassy and a school full of troops. This map shines once you find the tunnel and other spaces off the main bazaar, but ultimately feels a little crowded to be great. Too often the cheesiest solutions are the ones I find myself doing here when I try escalations and while it works, it seems like a failure of the map as other maps force you down a path of fun, compounding issues. 6. Colorado ; Just felt whatever. Very explicit disguise zones and 4 targets are cool, but the shoot on sight thing means that some of the cheesy garbage I like to do is less effective here. Still play it, you print a face of a dude at one point and can dispose of bodies in a hay bailer. 1. The Witness - This game was mind consuming in a way that comes along only once every couple years for me. I felt enveloped in both the puzzle design and beautiful environment. 2. Dark Souls 3 - Possibly the best game in one of my favorite series of games, the boss encounters were almost all excellent in some way in this edition. 3. Invisible Inc. - I really appreciated this game's balance between risk and reward. 4. Legend of Zelda: Link Between Worlds - Flipping back and forth between worlds and exploring every nook of the overworld and dungeon map was a series of delights one after another. 5. Duelyst - Tactical collectible card game (Hearthstone tactics, kinda) that really dominated my playtime the last quarter of the year. 7. Downwell - Pure platforming, great art style, always felt "right." 8. Firewatch - It felt great to be in this world and the story took a couple of unexpected turns that made this an enjoyable and tidy package. 9. Witcher 3 - Really evocative world that is rewarding to explore and bursting at the seams with content, but falls a little short in story and combat. 10. Roguelight - Charming roguelite platformer that uses fire arrows as a resource for killing enemies and also the light you need to explore and move downwards towards the finish. Honorable Mention- Sokobond - Sokobon style puzzle game where you create molecules and feel smart.